Scary costumes define the evening of October 31st year after year. The terrifying night where vampires, demons, and zombies lurk in the dark alleys awaiting their next victims. Creativity follows the theme of the year and combining them both can only lead to some of the scariest costume ideas of the year. Are you ready for the fright? 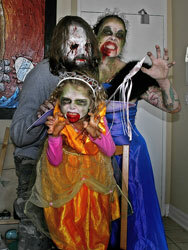 Families scaring together is a great way to enjoy quality while providing opportunities to scare in bulk! Scary costumes that flow together like the skeleton family, the zombie parents with their vampire children, and the horror film serial killer crew can bring pure terror into the night. These are just a few of the scary costume ideas in store for 2010. 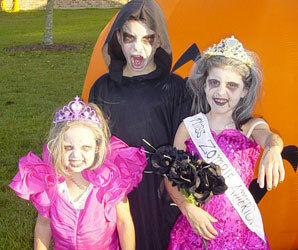 Taking scary costume ideas from older films and events are also a creative way to get noticed at this years big bash. 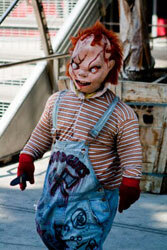 The infamous Chucky from the 1988 film Child’s Play directed by Tom Holland was by far one of the scariest dolls and classic terrifying look that costumes can replicate and let relive for just a night. The serial killing doll made his impression through his demonic nature and actions and his look is great to show off on your little one this year. Pint size tots are perfect size to bring the Chucky doll back to life. 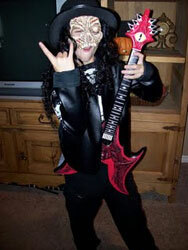 Scary costumes and kids are hand in hand when the time for trick or treating sneaks up every year. Every child wants to keep the scaring abundant on Halloween. Who can blame them? Adults are still dressing up in the scariest looks possible for the big party or just to get a nice scream out of the kiddos! Zombies have become a great way to scare and kids and adults alike are taking up the idea of creating a zombie out of any innocent look. 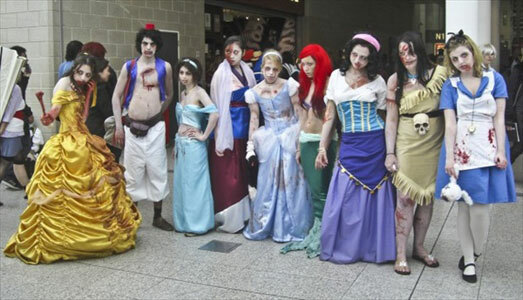 From Disney characters to princesses and beauty queens, scary zombie costumes are one of the easiest looks to create with the most terrifying effects. Scary clown costumes are also a wonderful way to cause the blood pressure of your friends to rise this Halloween. 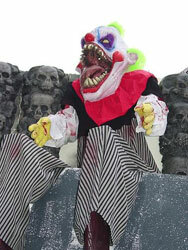 Many people have fears of clowns in general, but a scary clown costume with lashing teeth and bloody accents on top of the bright colors and creepy smiles? Oh yeah, now that’s going to get some attention! Watch out for that closet, you never know who’s inside. Oh and keep an eye out for you back seat, you never know when the killer clown is lurking in the back waiting for a ride! Scaring your friends out of their wits in scary costumes this year is going to be so much fun! 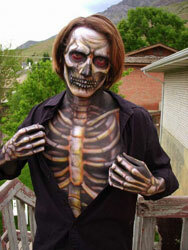 Get creative and add a special touch to any costume to make it the most terrifying and scary costume of the year! 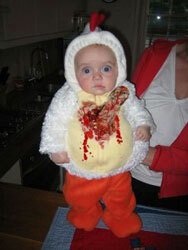 This entry was posted in Halloween Costumes and tagged halloween costume, scary costumes, zombie costumes. Bookmark the permalink.